Widely used for loading and unloading of the material from one shop floor level to another. Can be installed into the civil pit and on the floor as well. The equipment also can be used as goods lift height up to 9-10M. The Stationary hydraulic scissor lift is characterized by large carrying capacity, easy operation & reliable performance. It can replace elevator to lift goods up to a certain stores. 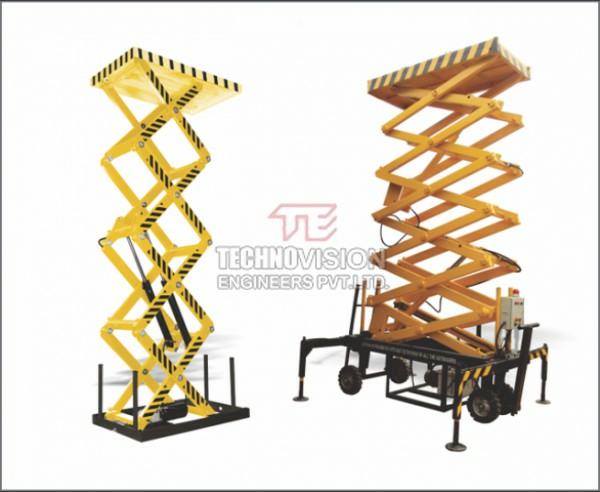 A stationary scissor lift is a special equipment for wide range of aerial work. Every instrument of this lift characterized by a scissor mechanical structure, solid structure, large carrying capacity, stable lifting, easy installation, easy maintenance, it makes possible for the operator to lift more things with high stability. At the same time, it decreases the risk of working on upper air. It is adaptable to high-frequency continuous running. 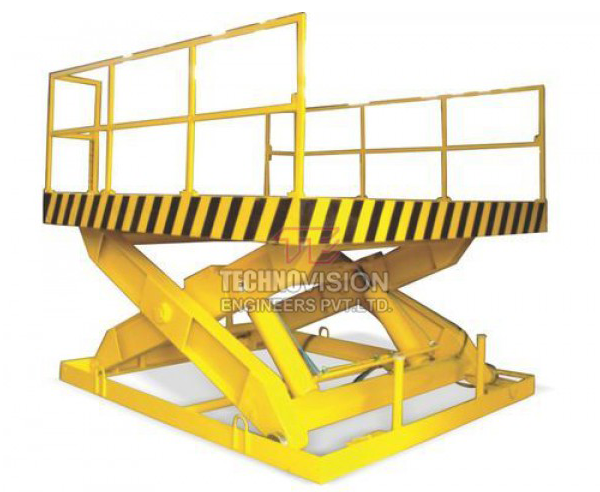 The stationary scissor lift table can elevate large tonnage goods stable. Most preferred equipment to reach to the working point at the height during any kind of overhead maintenance work. AC/DC input powered. Useful for indoor/outdoor application into the factory premises. Platform can be extended lengthwise up to 800mm with 100kgs capacity.